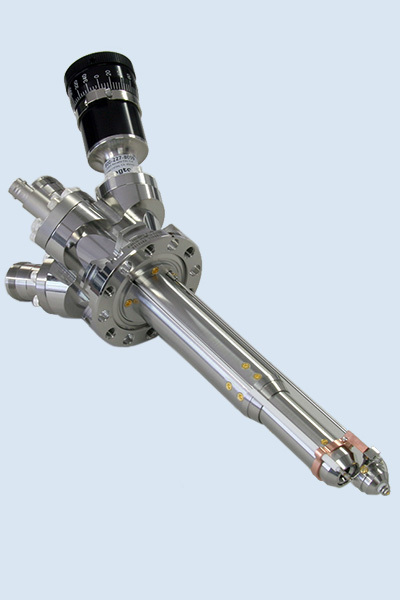 Kimball Physics ion gun systems, or ion sources, are used for surface physics, space physics, vacuum physics, charge neutralization, detection calibration, secondary ion mass spectrometry and ion injection for MBE. Beam Current Stability: ±1.0% per hour with Emission Current Control or ±10% per hour after warm up without ECC for alkali metal sources. Energy Stability: ± 0.01% per hour, ± 0.02% per 8 hours at full output. Flexible Controllers: Independent fiber optic control and metering of functions such as ion energy, source, electron energy, field control, extract, focus, X - Y deflection and electron current control. Need technical information, step files, or spec sheets on our products? Browse our Resource Library by product or by type of document.